Selected Villas for rent near Slightly Chilled Lounge Bar (Sri Lanka) - Contact us now! Make your way up a meandering, uphill road to arrive at Slightly Chilled Lounge Bar. 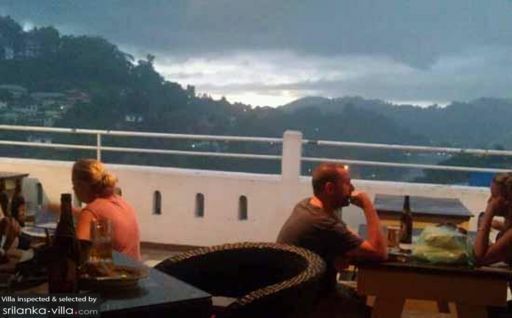 The bar offers visitors with a lovely view of the surrounding Kandy town and lake, and serves as a perfect spot to catch a gorgeous sunset during the evening. The staff provide friendly and amiable service, and the owner is attentive and welcoming. Hungry diners may satiate their hunger with the array of Chinese dishes and Western fare available.